A video has been released to explain more about ground-breaking research into the facial expressions of horses, and how proper interpretation can help owners, riders, trainers and vets recognise signs of pain. Recent research from the Centre for Equine Studies, part of Britain’s Animal Health Trust, has sought to produce a practical tool to help equine caregivers recognise signs of pain from a horse’s facial expressions. When a horse is ridden, changes in facial expressions are not widely understood by owners and trainers, despite being able to provide important indications of a horse in pain. In the first of two videos, the head of clinical orthopaedics with the trust, Dr Sue Dyson, explained the common problems mistaken for pain, why the study is so important, and what it could mean for horses, owners and vets in the future. The first video has had 74,000 views and reached 190,000 people. It ignited an online debate about understanding equine behaviour and body language, as well as receiving comments from owners who now felt guilty for not taking note of these facial expressions sooner to help their horse. Professionals chimed in, too, agreeing that these expressions can be recognised, but they were amazed at how often they were not. Now, a second video is available online, giving those people working with horses an insight into how a catalogue of the facial expressions has been developed by the trust’s research team, how it was tested to ensure it could be applied by a broad range of horse people, and whether it was effective in not only helping recognise signs of pain, but also differentiating between a lame horse and a sound horse. 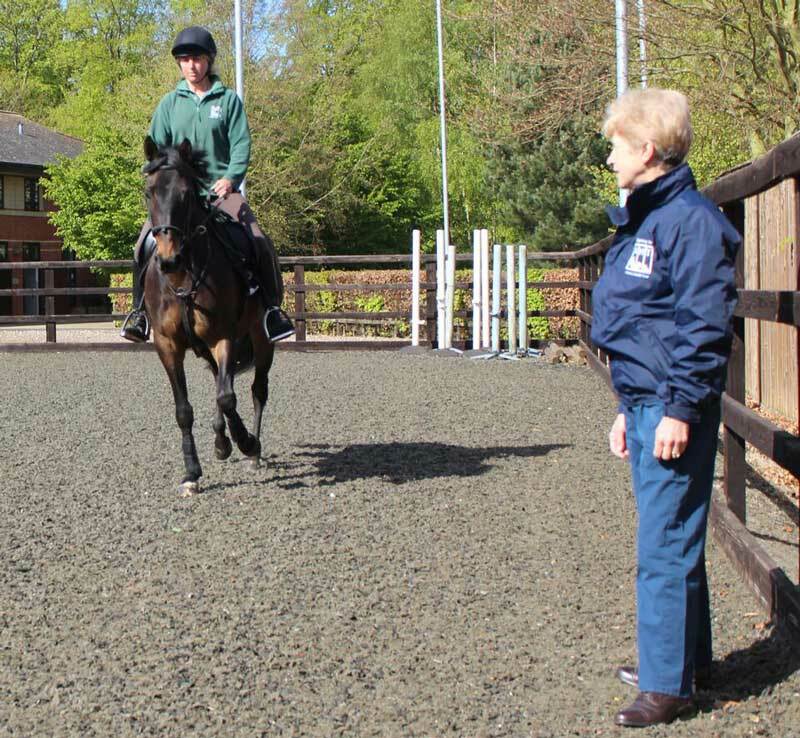 Research has shown that owners, riders and trainers have a poor ability to recognise signs of pain seen when horses are ridden. As a result, problems are labelled as training-related, rider-related, behavioural, or deemed “normal” for that horse because “that’s how he’s always gone”. Unfortunately, that meant pain-related problems were often disregarded. The horse continued in work and the problems progressively worsened. If pain goes unrecognised and is not referred to a lameness specialist early enough, problems become too advanced to be resolved, or managed as well as they might have been if spotted sooner. Researchers at the trust believe that recognition of changes in facial expression could potentially save horses from needless suffering and chronic injuries, by enabling owners and trainers to recognise pain sooner, and get these horses the veterinary care that they need. Developing a practical tool for recognising facial expressions, similar to that of a body condition score chart, could dramatically improve the health and welfare of all horses – which is something Dyson and her team at the trust continue to work towards. The ethogram they developed is a catalogue of facial expressions including the ears, eyes, nose, muzzle, mouth and head position. Each body part can display an expression which may be normal, or reflect pain, conflict behaviour or distress. In its first stage of testing, the ethogram was successfully applied by a variety of people from different backgrounds, to a selection of photographs of horses’ heads while they were ridden. Using the ethogram, these individuals could identify different expressions in each horse, such as positions of the ears, changes in the eyes, and tightness in the muzzle. The results were highly repeatable among the analysts proving that, with guidance from the ethogram, owners could potentially reliably recognise different expressions in their horse’s face. Stage two of the work tested if the ethogram could be used to distinguish between sound and lame horses. During this phase a pain score from 0-3 was applied to each of the facial expressions (mouth, eyes, ears etc), and then totalled to determine an overall pain score for each horse. A total of 519 photos of horses which had been categorised by Dyson to be lame or sound were assessed. An amazing total of 27,407 facial markers were recorded, with results showing that there was a scientifically significant difference in pain scores given by the assessor for clinically lame and sound horses. The facial markers showing the greatest significant difference between lame and sound horses included ears back, tipping the head, eyes partially or fully closed, tension around the eye, an intense stare, an open mouth with exposed teeth and being severely above the bit. To further prove the effectiveness of assessing pain in a horse with the facial expressions ethogram, a selection of lame horses underwent lameness assessment and nerve blocking (using local anaesthetic), to alleviate the pain causing them discomfort when ridden. Comparison of their facial expressions before and after using local analgesia showed a significantly lower pain score once the pain causing lameness had been removed.